Arctic Shipping in Canada: Is it in our future? Global warming has been viewed as a drawback by many industries, but it brought with it a silver lining; the promise of some important arctic shipping lanes and routes in Canada being opened up. However, recent reports show that the opening of arctic shipping routes may be more of an illusion than a reality. The hesitation has been linked to the melting of sea ice, due to the climate change. Shipping insurance companies, as well as shipment clients are concerned regarding delays. 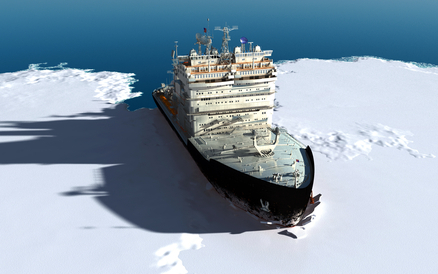 Specifically, what if shipments are trapped or even sink in the arctic, due to the floating ice? Since they have a wider choice of service providers, consumers have become much more sensitive and are not willing to compromise with the quality of the service they receive. As the competition in the shipping industry intensifies, shipping companies must take every aspect in to consideration to ensure they remain competitive. Some major concerns raised regarding arctic shipping in Canada have been the shallow, unmarked passages which pose the extreme danger of the shipping vessel running aground. This could result in time wastage, damage, as well as extra costs linked to freeing vessels while in transit on the Canadian arctic shipping routes. Marking the arctic shipping lanes does not assure that the shipping companies will opt for this route. There are also additional constraints such as special modifications required on the hulls of arctic ships. The shipping vessels have to be modified to be icebreakers, in order to be able to use these shipping lanes. Arctic shipping vessels are also considerably smaller than open ocean vessels, which is a major concern for any shipping company. Smaller means less cargo transported, which translates in to having to push up the cost of the cargo being shipped. In today’s competitive world, whereby the consumer is paying very close attention to cost, shipping companies cannot afford to hike shipping prices, as it will definitely result in loss of business. It is these major concerns that have resulted in the proposition of Arctic shipping routes in Canada becoming more of an illusion then a reality. However, all’s not lost, since the arctic shipping lanes will remain very useful with respect to the transportation of mined raw materials. In demand resources such as coal, ore, oil and gas must continue to be shipped out of the region, despite the hardships and costs of shipping.